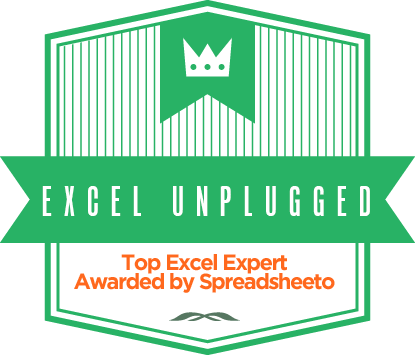 In my work as a Trainer and also as a Data Scientist (I love that term), Shortcuts in Excel are a vital part of doing things efficiently. This shortcut helps you when you select data. Let’s assume this is our data. A bunch of dates from A1 to Z12000. 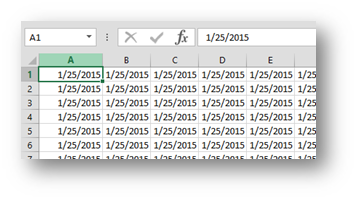 Working with this amount of data, one frequently has a need to select the data or just one column of data. 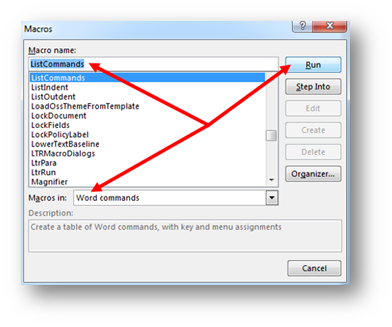 And when you do that either by Ctrl+A or by Ctrl+Shift+Down Arrrow, what you get is not all that satisfying. 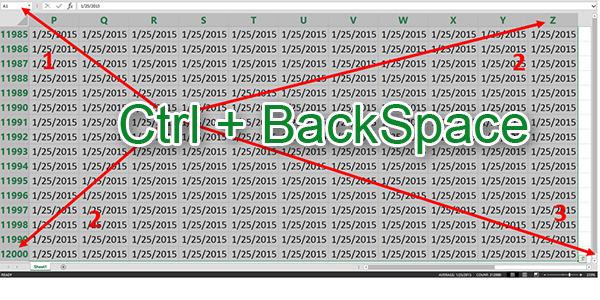 But there is another way in Excel to get to the Active Cell and that is Ctrl + Backspace. It always gets you back to the Active cell. I still get chills J. Before this I was used to pressing Enter and then Shift+Enter to get back to that Cell. 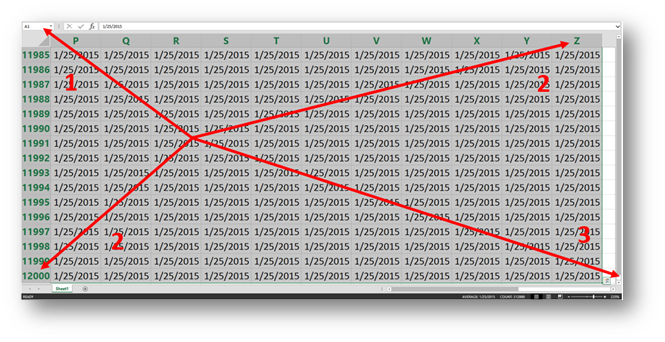 I believe this is what is or should be called eternal happiness in Excel. Or you could use CTRL + SHIFT + 8 to select the whole range. Yes, the only problem is that Ctrl+Shift+8 is region sensitive. It does not work on all input methods. But it’s great nonetheless. Thanks for the contribution! You can use the * on the keypad as well – then it is just Ctrl + *. It selects what is called the current region – great for tables. It’s really an excellent shortcut, Gašper!